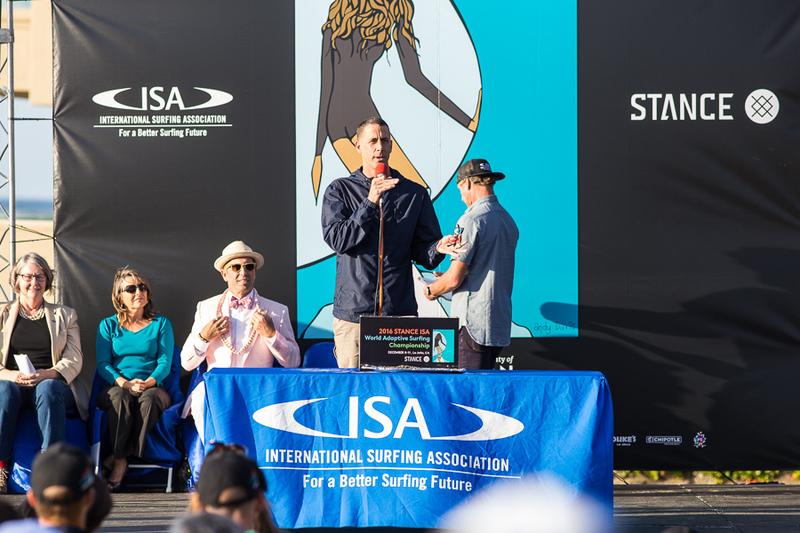 The historic second edition of the 2016 Stance ISA World Adaptive Surfing Championship presented by Vissla and the City of San Diego was officially declared open in La Jolla, California on Thursday afternoon. 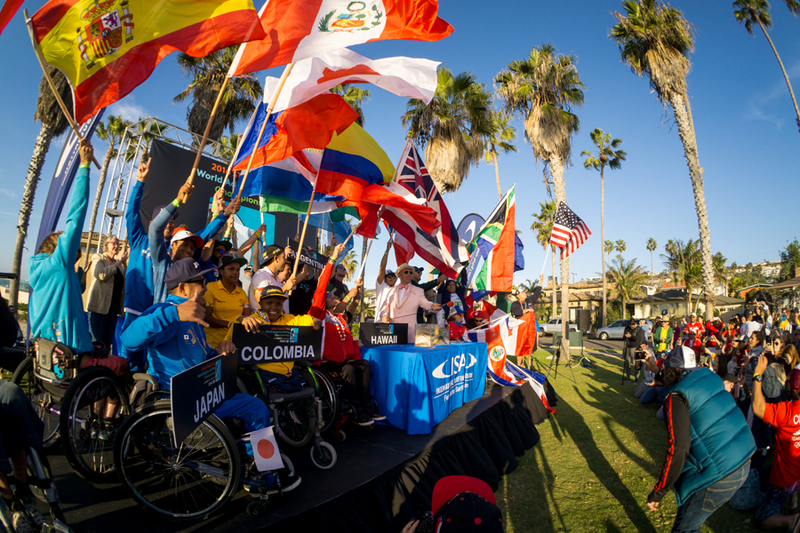 77 adaptive surfers from 22 countries gathered for the Opening Ceremony, celebrating the record-breaking edition of the event, which featured 69 surfers from 18 countries at the inaugural edition in 2015. Thursday morning kicked off with the Stance ISA Adaptive Surfing Clinic hosted by Junior Seau Foundation Adaptive Surf Program and presented by Challenged Athletes Foundation. 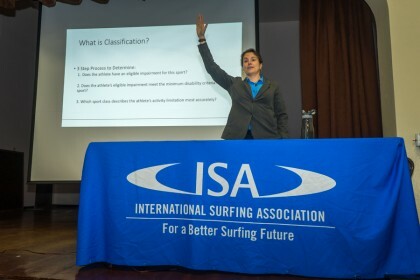 More than 25 adaptive surfers gathered to receive expert instruction from top adaptive surfers and instructors, fostering the future growth of the sport. The Opening Ceremony followed in the afternoon with the Parade of Nations and the traditional ISA Sands of the World Ceremony. 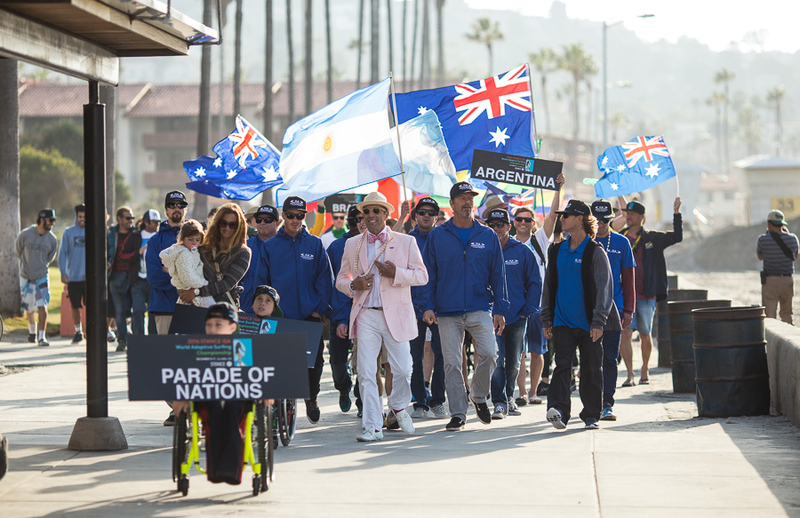 During the Parade of Nations each country marched down the ocean front boardwalk at La Jolla Shores displaying their national pride and chants. Dignitaries in attendance at the ceremony included co-founder and President of Stance, John Wilson, San Diego Council President, Sherri Lightner, City Council Member, Lori Zapf, Assistant Director of Park and Recreation of the City of San Diego, Andy Fields, and ISA President Fernando Aguerre. 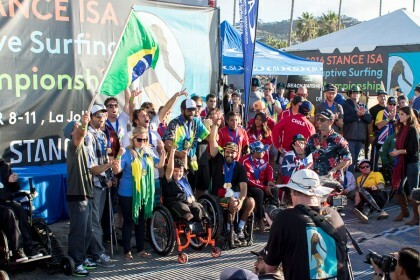 The ceremony continued with the Sands of the World Ceremony, where each team poured sand from their local beaches into a clear container, symbolizing the peaceful gathering of nations of the world through Adaptive Surfing. Adding a unique performance to the ceremony, the Wheelchair Dancers Organization put on a wonderful special dance for the National Delegations. John Wilson, Co-Founder and President of Stance, followed, explaining why Stance decided to step up their support for this year’s edition of the event. 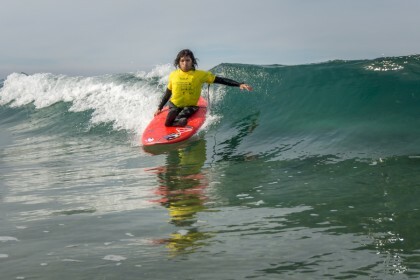 San Diego Council President Sherri Lighter followed, including a San Diego City Council Proclamation declaring December 8, 2016 as International Surfing Association Adaptive Surf Day. To conclude the ceremony, the flag bearer from every competing nation took to the stage and waved their flags with pride as ISA President Fernando Aguerre officially declared the competition open.